Driftwood, Texas, popped up in Hays county in the 1880s and served as a supply center for nearby farms and ranches. By 1890, the little community, then known as Liberty Hill, grew to house a church, school, and general store. While the population ballooned to nearly 100 in the mid 1900s, it is now back in the 20s. 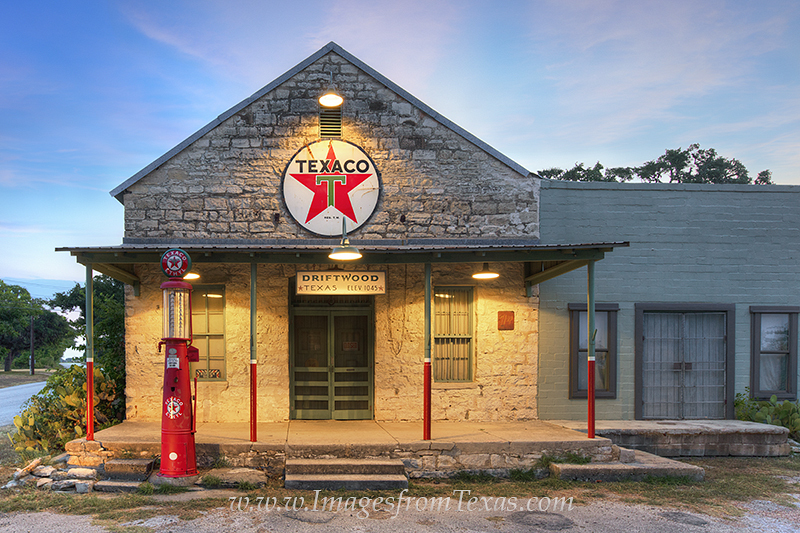 This old Texaco store is one of the few remnants of a bygone time. Photo © copyright by Rob Greebon.